If you’re a business owner, then you should know how important it is that you’re able to adapt with the current trends. In order for your business to become a success, then you should be able to figure out exactly what it is that they want or need and see how you’re going to provide them with that. You can also see social media marketing plans. So let’s say that you manage to do that, you’re still going to have to market it towards them to let them know what you have what they want. 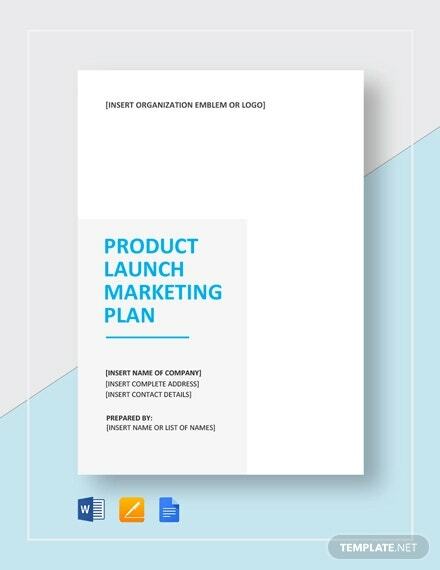 And that’s why this article is going to teach you how to create a product launch marketing plan that will give you the means to do that. you may also see plan templates. 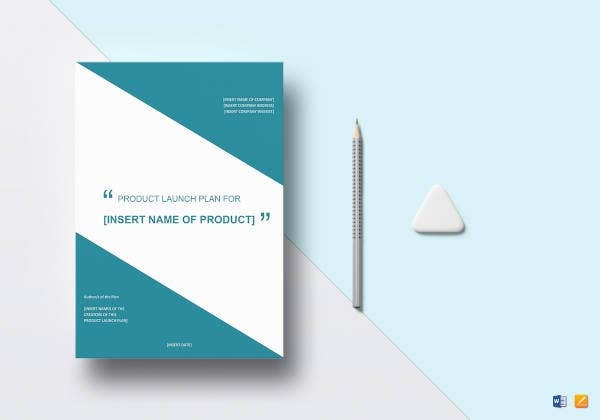 If you’re planning to launch a new product in the market, then you should know just how important it is that you know how you’re supposed to market it. Remember that the point of the sample marketing plan is to point out everything from who you’re going to be marketing towards and how you’re going to market your newly launched product. The more it’s able to explain, the better it will be for your business. The first step that you’ll be taking when coming up with this type of marketing plan is to know who you’re creating your product for. This is obviously going to be very important because whatever product you plan on launching is going to have to be catered towards a specific audience if you want to make sure that it’s going to sell. You can also check out strategic marketing plans. So what you’re going to do is to figure out who’s going to want and benefit the most from the product that you plan on marketing. The way to figure this out is by understanding your target audience. Look into demographics such as the age, gender, and even the way in which they spend to tell you how you’re supposed to market your new product to them. You can also read B2B marketing business plans. Also, you’ll want to incorporate insights around interests, motivators and research sources. Basically, you want to do everything that you can to learn about the people that you want to focus your marketing efforts on. You may also like sales & marketing plan templates. The next step you’ll need to take is to figure out what kind or problem your consumers have that you want to be able to solve. You don’t just create and launch a new product for no reason, it’s always going to be for the benefit of your customers. You may also see sample real estate marketing plans. So what it is that your product is aiming to do? What specific problem does your target audience have that you want to solve? 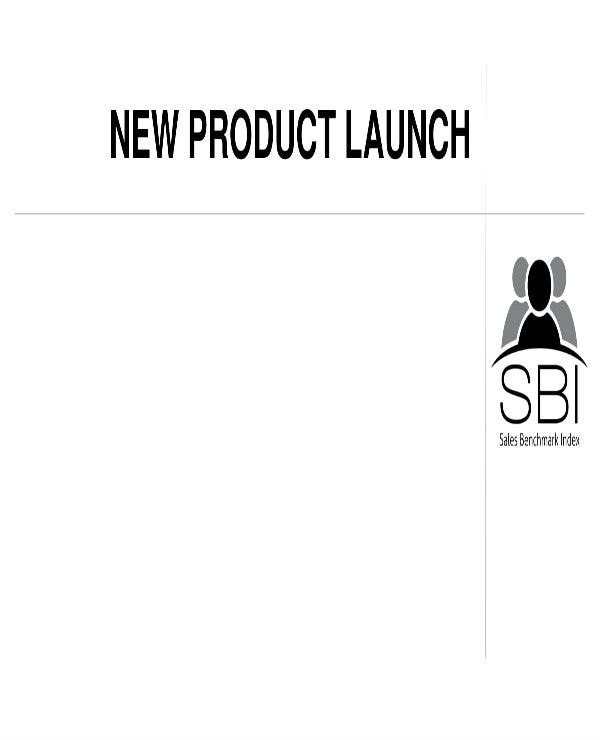 How is it different from all the other products that are already available in the market. You may also see non-profit marketing plans. Be sure that you’re able to explain the consumer problem and what your product will do to solve that problem in the most detailed way possible. You may also see financial adviser marketing plans. Let’s say that you’ve already figured out who your target audience is supposed to be and what problem they have that your product can solve. The next step is to figure out the means by which you will be marketing your product towards them. You may also like event marketing plans. 1. Understand what media channels you should use – If you want to be able to properly market your product, then you’re going to find the best way to ensure that your target audience is able to hear about it. And that’s why you need to learn what kind of media channels will do that. By this point, you need to know what kind of media channels your target audience often use so that you can focus your marketing efforts there. 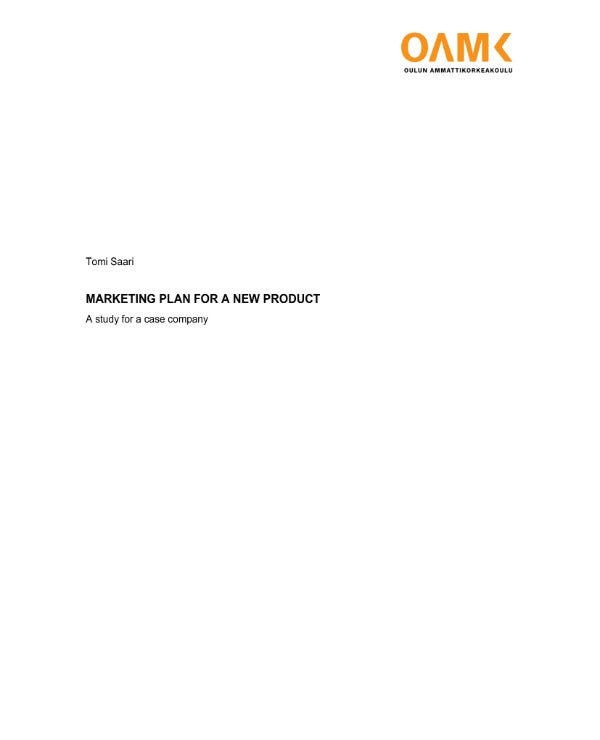 You may also see sample annual marketing plans. Do they happen to use social media on a daily basis? Or maybe they listen to the radio or watch television a lot? This will allow you to strike the proper deals with other companies and come up with the right methods that will ensure that your target audience knows that you have a product that they want. 2. Come up with compelling promotional material – Before you use any kind of marketing strategy, it’s important that you come up with promotional content that will actually gather the interest of your target audience and make them want to do business with you. So you’ll need to think about what it is that they want to hear. You may also see retail marketing plans. While it’s important that you share what your new product is, what it does, and how much it will cost, you shouldn’t just focus on those. You can opt to provide discounts to the first few customers who avail the product as a start. That way they’ll be more compelled to buy what you have to offer them. You may also see sample b2b marketing plans. It’s important that the people who are in charge of marketing the product that your business is about to launch are ones that are actually capable of doing their jobs. So what you’re going to have to do is to assign a number of executives that are able to handle media interviews and contributed article requests. Then you’ll want to make sure that they’re able to deliver when it comes to marketing by having them go through the proper training. You may also see email marketing plans. Make sure that the training you provide them with is able to point things out anticipated interview questions and key points to hit during the interview. Also, make sure that they’re the types who are able to adapt quickly to the situation as you want these people you’ve assigned to be capable enough to handle marketing the product no matter what kind of situation they’re in. You can also like startup marketing plans. Although marketing is never going to be easy given by the fact that there are always going to be uncertain factors at play, it’s always best that you come up with a plan that should at least guide you and your employees towards the right path. Just make sure that all of you are able to adapt if a particular marketing strategy fails as failing to do so will just end up with you and your business wasting time and resources on something that you won’t be able to sell. You can also see B2B marketing plans. 1. It ensures that you and employees know the direction you’re supposed to go – The plan was specifically meant to help ensure that everyone involved in marketing knows exactly how things should be handled. So long as the simple marketing plan is able to explain everything clearly, then you shouldn’t have to worry about anyone not knowing what they have to do. 2. It lets you see if everything you’ve come up with will be effective – Not everything will always be a success, especially when it comes to marketing. Which is why having all the strategies for marketing your new product all contained in a single plan will definitely help you see whether they’re the right way to go or not. 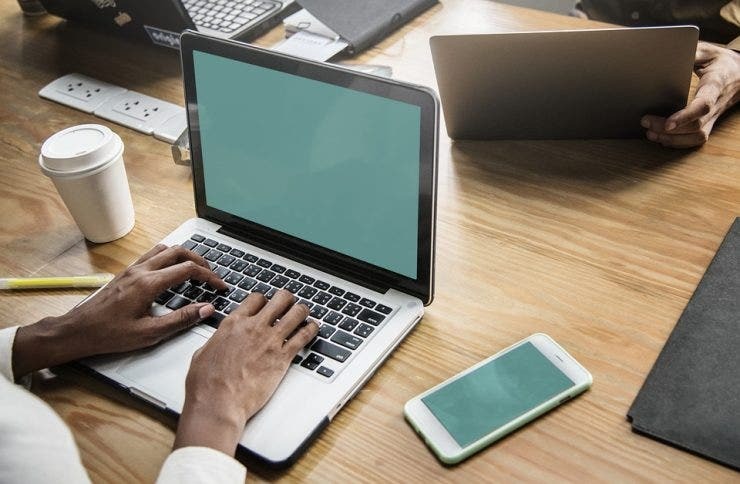 This will help you come up with the necessary changes that you need to make that should ensure that your marketing strategies end up being a success. Just be careful not to make too many changes or else it might just backfire. 3. It let’s you know if what you have is something different and something that’s good – When you really get into the plan, you’ll want to see if whatever product that you’re going to launch is something that none of your competition is able to offer are aren’t currently offering. Basically, you’re trying to get whatever advantage you can so that you can ensure customers will want whatever new product that your business is going to launch. So if you see that it’s good,different, and something that your target audience is going to want, then most likely it’ll be a success. You may also see internet marketing plans. If you want to learn how to make other types of marketing plans, then all you have to do is go through our site. It has many different articles that should be able to provide you with whatever it is that you need. The only thing that you’re going to have to do is to read these articles thoroughly so that you can make the most out of the information that they happen to contain. You may also check out strategic marketing plans.